I went from a structural engineer to a real estate investor, and moved from Australia to the United States – all at the same time. So my story isn’t just about my first deal; it’s about my journey. Is This All There Is?! Rewind to 6 years ago: I am 24 years old, and I had just spent the previous two years living and working in London as a structural engineer. As my time abroad ended, I moved back to Brisbane, Australia and quickly found another job, when reality hit me. My travels were over, and this is what it seemed I was supposed to be doing for the next 40 years of my life – sitting in a cubicle answering to a boss that answers to a board of directors. I remember thinking to myself “This can’t be it? What have I got myself into?” I knew that I didn’t want to work for ‘the man’ in a 9-5 job for 365 days of the year for the next 40 years; I wanted more. I needed to find something that supplied me with enough income so that I wouldn’t need to work for that long, especially for someone else. I furiously began searching wealth and entrepreneurship on Google. The first two things that popped up were stock market investing and real estate investing. Being an engineer, my day job exposed me to large-scale commercial developments, so I felt a connection to real estate. Also, my dad had a few small successes in the Australian market, so I thought that it was a perfect fit. I started Googling as much as I could about real estate investing and within the first week, I had a copy of the best seller Rich Dad Poor Dad. That little purple booked opened my eyes to understanding financial freedom and long-term wealth, which is what I craved so much. I could take control of my life and ESCAPE the rat race. Big Apple, Here We Come! I devoted all of my spare time to researching real estate investing and increasing my financial IQ. I attended as many different real estate networking events as I could, and surrounded myself with other successful real estate entrepreneurs for about 18 months. At the same time I wanted to move to NYC with my American girlfriend; so we decided to pack up our lives and move half way across the globe in pursuit of an adventure to live and work in the BIG APPLE! Once we settled in to the New York way of life I began educating myself on everything related to investing in the U.S. market, from understanding the U.S. investing lingo, to advanced topics that you would pay top dollar to a ‘guru’ in Australia, yet were readily available and free at the real estate investment clubs in Manhattan. At this point, I still hadn’t done a deal. I spent a solid year getting to know the lay-of-the-land. This was 2012 and there were plenty of cheap properties out there, and I now knew enough about cash-flow properties to get involved. I started focusing on upstate New York (Buffalo, Syracuse, Rochester). These places were within driving distance and were within my price range. Over a period of 6 months I developed a team on the ground and I finally purchased my first triplex all cash for $40K. I had no U.S. credit at the time. Being a landlord quickly taught me the power of cash flow and repositioning; buy a property needing some work, do it up, increase rents and increase cash flow. This forces appreciation in the property. Before I knew it, I was at the bank asking for a small refinance to buy another deal. I successfully closed on another duplex and have since continued to grow my portfolio. From the first deal until now, there was a huge learning curve that real estate seminars couldn’t have taught me. A year later, I met a mate for a drink, and I was boasting about the small properties I own in upstate New York. I was telling him about the cash flow, and the great tax benefits associated with owning real estate. I thought I was really selling this guy! He then turns to me and says, “That’s awesome mate – I just closed on an 80 unit property in Canada.” My mouth dropped. “…what?” I said. He repeated the sentence, but I couldn’t believe it. He went on to explain the power of NOI and forcing appreciation in commercial real estate. This was the second “ah-ha” moment in my life. I told myself I need to up my game and get involved in larger commercial multifamily apartment buildings. I went out and found a great mentor/real estate coach to help guide me to that next level on my journey. In 2014 he helped me develop my personal brand. I developed a website, worked on my pitch and my professionalism, and I started looking at larger multi family deals. Underwriting 10-20 deals a week for months. At this time, my girlfriend and I decided to move to warmer weather in LA. Again we packed our bags and moved across the country. Again, I rocked up without a job. As soon as we moved to LA I started a meetup group to increase my exposure to other investors. We meet once a month in Downtown LA at a bar and discuss all things related to real estate investing. After a few months, at one of my events, I met an investor, Frank, who was desperately trying to close on his first large multifamily deal. I was still underwriting deals and trying to find as many investors as possible. Frank had good deal flow, but he didn’t have investors to invest in the deal. I connected Frank with my mentor, who offered to bring capital to the table if I found a cracking deal, and boy did I find a cracking deal! One Deal Done and More to Come! We got a 250 unit under contract ($14M deal) and frantically started raising capital from as many investors as possible. Two months later we closed. It wasn’t without massive heartache and a huge learning experience, but we got it done! I am skimming over the details but it was a massive effort! We raised $3.3 million in 2 months! The property is now performing extremely well; above what we had projected. Currently I am raising capital for another 155 unit deal, just down the road from the first one. Now by no means have I “made it.” This is just the start of a long successfully career investing in U.S. real estate, and still I have a lot to learn. The year 2016 is going to be massive! More deals to come, and I am also increasing my reach via my new podcast and looking to release a book by the end of the year, which will cover the fundamentals of investing in U.S. real estate as a foreign investor. 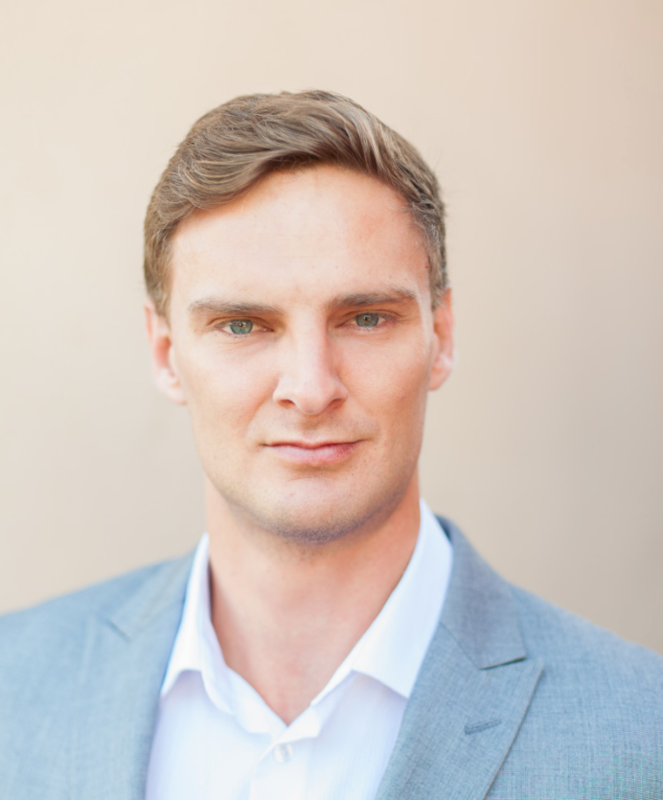 Reed Goossens is founder of RSN Property Group in Los Angeles. His podcast, which focuses on how to invest in U.S. property from as a foreign investor, can be found here. We will check back in with Reed in the future to learn about his progress growing a real estate empire from scratch. Lots of lessons from this post. Thanks for sharing!